It is with a heavy heart that we have to report that Charles Freeland succumbed to his final illness. He died on Sunday, 9 April 2017. An ex-President of the Study Circle and a long -time member, he will be missed by all. I am sure that all of our members will recall Charles as a giant of BWI philately with a prodigious knowledge of the stamps and Postal History of those colonies he collected. His passing will leave a huge gap in our society. RIP. Charles was been a member of the BWISC since 1970. He was appointed a Vice-President in 1999 and President in 2011. His term ended in 2015 but he remains on the Committee. His collecting interests covered almost the whole range of BWI philately, although his interests in Antigua, British Guiana, British Honduras, Cayman Is, Dominica, Grenada, Jamaica, Leeward Is, St Christopher/St Kitts and Trinidad are limited to postal history and “back-of-the book” material. He did not exhibit competitively but displayed an eclectic mix of BWI, not only to the Circle on a number of occasions but also to the RPSL, the BCPSG and the Virgin Is Philatelic Society. Charles was a prolific philatelic writer. In 1994 he co-authored “Bermuda Mails to 1865” with Michel Forand and a few years later he prepared an update of “Montserrat to 1965” originally written by Len Britnor. He co-authored books on Tobago (with Peter Ford and Ed Barrow) in 2013 and on Nevis (with Federico Borromeo) in 2014. He also closely cooperated on books on the Barbados Britannias (by Fitz Roett) and the British Guiana 1882 Baldwin stamps (with Richard Maisel) over the same period. He recently completed a comprehensive handbook on Antigua in collaboration with John Jordan, as well as a Classic Collections booklet featuring his St Lucia collection. He recently worked with Roy Bond and Russell Boylan on a comprehensive handbook on St Vincent in the 20th century (the earlier period having been well covered in the 1971 handbook by Pierce, Messenger and Lowe). 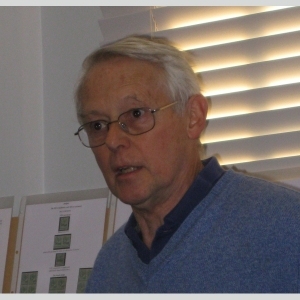 Charles was also a prolific writer of philatelic articles and has written around 250 articles on nearly all aspects of BWI philately, including well over 100 in the BWISC bulletin. Charles was a fellow of the RPSL, a former trustee of the BCPSG, a Director of the Bermuda Collectors Society, the associate editor of its journal Bermuda Post and since his retirement in 2007 the European representative of Victoria Stamp Company. He spent the whole of his professional career in financial supervision and lives in Basel, Switzerland. He has three grown-up children, three grandchildren, two dogs and remains married despite his wife’s preference for jewelry to philately.